Joaquín Pedraja Reyes "Joaquín Cortés" (born 22 February 1969) is a classically trained ballet and flamenco dancer from Spain of Romani origin. A native of Córdoba, Cortés showed interest in dancing from an early age. Cortés and his family moved to Madrid in 1981. Soon after moving to Madrid, he began to take formal dancing lessons and studying seriously. 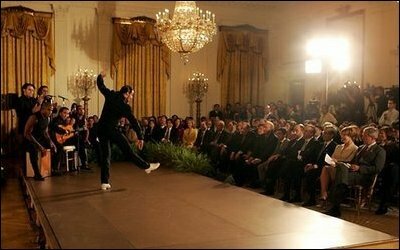 In 1984, he was accepted as a member of Spain's prestigious national ballet company. He traveled the world with the Spanish National Ballet, performing in important venues such as the Cosmopolitan Opera House of New York and the Kremlin Palace in Moscow. During his stint with the Spanish National Ballet, he also became a principal solo performer known for his phenomenal stamina and athleticism. 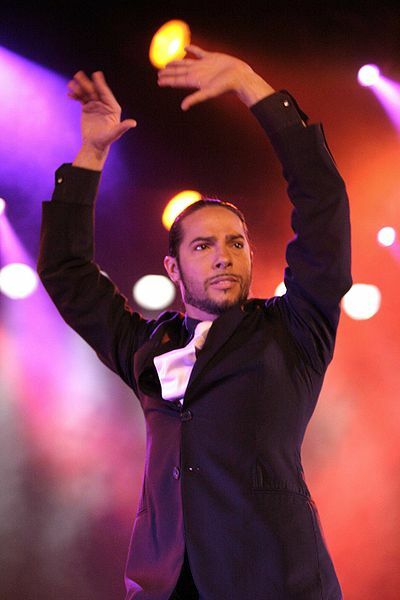 Desiring more creative control, Cortés formed the Joaquín Cortés Flamenco Ballet company and launched his first international tour 'Cibayí' in 1992. The formation of Cortés' own company allowed him diverge from purist ballet and create his own fusion of flamenco, ballet and modern dance. In 1995, in addition to being featured in two international films- 'La flor de mi secreto' (The Flower of My Secret) and Carlos Saura's 'Flamenco', Joaquín Cortés embarked on what is often considered his most successful venture, 'Pasión Gitana' (Gypsy Passion). 'Pasión Gitana' marked the beginning of Cortés' recognition for not only his prowess as a dancer, but also as a choreographer and artistic director. In 1999 Cortés was the subject of a documentary film and he launched a successful tour of 'Soul' across North and South America. In the 1990s Joaquín Cortés gained notoriety for his close relationships with high profile celebrities such as Naomi Campbell, Giorgio Armani and Mira Sorvino.